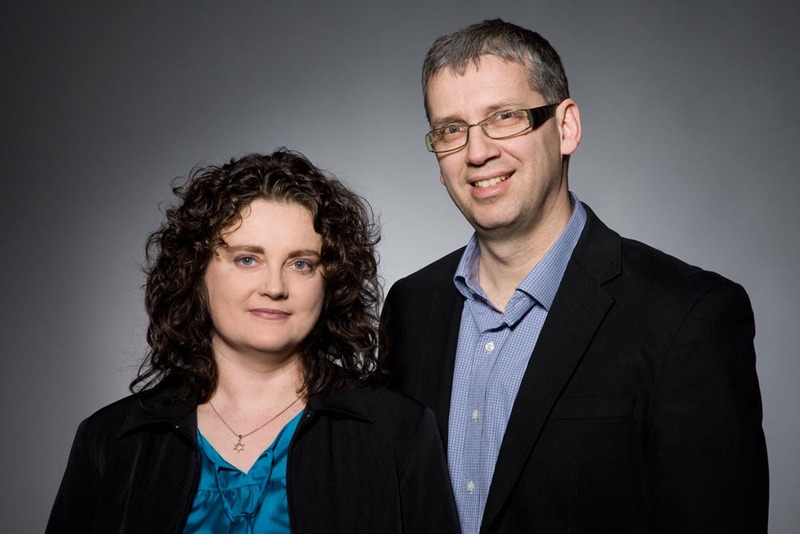 It is a privilege for me and for my wife, Rita to represent Ariel Ministries in Hungary. After many years I am convinced that to truly understand the Bible one must understand it from its Jewish context. I have been reading books and teachings by Arnold Fruchtenbaum since 1990, and since that time our interest in systematic Bible teaching has been constantly growing. Through our study of the Come and See Messianic Bible study program and our attendance at Camp Shoshanah in 2011, we have been inspired to begin a ministry in Hungary. We want to make available these teachings — which are real pearls for us — to Jewish people, believers, and to the Hungarian people generally. Meanwhile we were able to fully complete the five-year program at Camp Shoshanah. I came to the Lord in 1989, and my wife Rita in 1990. In those days I attended a large charismatic church in Hungary. I came from an active Catholic background, but I was missing something. It became very clear after meeting my Christian friends that they had something I didn't have. I gave my life to Yeshua and then spent an entire year in Germany, as I am a German teacher by profession. In Hamburg I often visited a Christian bookstore. I had an eager hunger for everything that was associated with the Lord and the Bible. I became very familiar with the charismatic literature of authors such as Kenneth Hagin and Derek Prince, etc. I wanted to buy a good book about the Revelation. The owner of the bookstore helped me to find a good book. It was the Footsteps of the Messiah by Arnold Fruchtenbaum. This is the only book from that time that I still have and that I read to this day. Today I teach it, and I’m thankful to God for this book. I met my wife Rita in 1994 and we married in 1995. At that time, we still attended the charismatic church. In 1996 Rita spent half a year in London on a PhD scholarship for sociology. I visited her that summer, and in July Benny Hinn came to London. We attended the services and I always checked the bookstores from the different organizations. There was a Jewish guy with a small table and all he had were a few advertisements and a single book with the title Israelology. I realized that I knew the writer, Arnold Fruchtenbaum. He had actually written my favorite Christian book! When we bought his only book, the guy immediately packed his table and with the mysterious sentence — “Escape from here!” — he disappeared. Arnold's book also became very important to Rita as she wrote her doctoral dissertation on the topic of the roots and the history of Christian antisemitism, entitled Theology and Antisemitism: The Influence of Amillennialism on the Parliamentary Discourses of the Hungarian Church Representatives (1842-1941). She also wrote about premillennialism and its pro-Israel, philosemite political and theological influences. Dealing with the reasons of anti-semitism in the churches and the controversial history and theology of the Church toward Israel was always on her focus. (Her article about the early history of antisemitism in the church was published in English in Ariel Magazine. You may download here). As you can see, Israelology was one of the foundations of our thinking. In fact, in 2011 her book based on her PhD dissertation was published. Its cover is a picture from Beth She'arim, which was taken during our Israel tour with Arnold in 2010. That tour was really a highlight of our life! A long time ago it was our dream to participate in one of Arnold’s tour in Israel. God gave us that opportunity and our dreams came true. In 1997 Rita received a scholarship to New York for her doctoral research and I became a principal at the new Christian high school of the charismatic church. She went alone to New York. It's important to explain that the charismatic church became increasingly involved in the Third Wave movement. We had two or three services weekly (at a minimum of four or five hours) with long worship and many experiences, but we had very poor (also false) teaching, or none at all. Our prayer to God at that time was that He would give us real teaching because we were very hungry. After visiting many different churches in New York, Rita discovered that a Bible teacher named Arnold Fruchtenbaum was giving a full week seminar about the Life of the Messiah. By that time she was also very familiar with his name and so she called me immediately. It was by God's grace that my visit to New York happened exactly on the week of his teaching. While our church in Hungary had a conference with more than 10,000 people and was experimenting with the “new wave,” we were sitting in New York with no more than 20 people, benefiting from the best Bible study we had ever had. How was this possible? That was my question. We got to know Arnold personally at the study, and he invited us to Camp Shoshanah in 1998. After spending only three weeks at camp, we learned more about the Word than we ever did in the 10 years prior. In 1998, we decided to leave our church and the charismatic movement. Before this serious decision we read Arnold's teaching about the Toronto phenomenon, about the true face of the third wave movement. I also spent hours in New York bookstores reading systematic theologies, theologies from charismatic perspectives, and also different theologies. I wanted to be sure not to make another mistake. Actually, we found our new church from a connection at Camp Shoshanah, with the gracious help from the late Dan Rigney. He gave us the contact information to an American church that had branches in Hungary too. We have great friends and fellowship there, the Bible Speak Church. After years of listening to false teaching about losing eternal security, we are blessed in our local church to listen to messages about grace and eternal security. In 1999, our daughter, Noemi was born. I am now a German language teacher and a jazz pianist. Rita worked for 6 years at the Holocaust Memorial Center in Budapest. Ariel Ministries is extremely important to us. The Come and See Messianic Bible study program has been a real blessing in our lives. We want to have it in Hungarian too because we want others to benefit from these lessons just as we have. In fact, we are developing a website for Come and See in Hungarian. I wanted to organize home Bible study groups that would stand on good systematic teachings and sound doctrine, not to be tossed by the different winds of teachings. The first step began in our home with the Book of Revelation. This provided a solid connection with a Jewish perspective. There is a deep need, even in good churches, to understand the Jewish roots. More and more, Jews and Gentiles alike need to understand their positions and responsibilities in the church. Gentiles should understand the source of the blessings, the Jewish covenants and our partaking in the New Covenant, and Jewish believers need to understand that they have an amazing loving Father who is a covenant keeper and who fulfills all His promises to His People. Our deepest desire is to be used by the God of Israel and to labor in this field. Today in Hungary, which is a small country in Central-Europe with 10 million inhabitants, there are between 80,000 and 150,000 people who have at least one Jewish parent. This is one of the largest Jewish communities in Europe. Almost all of the country's Jews live in the capital, Budapest. In 1941, there were 400,000 Jews “of the Israelite persuasion” (meaning religious), as well as between 50,000 and 90,000 “baptized Jews” living in the territory that constitutes Hungary today. There were 800,000 Jews in the bigger Hungary, which included, at that time, parts of today’s Slovakia, Romania, and Serbia. Much of that community was murdered during the Holocaust: the number is estimated to have been more than half a million. However, between 190,000 and 260,000 Hungarian Jews survived. Today, most of the Jewish population in Hungary is secular. After the collapse of communism in 1989, and the taboo of Jewish identity, a revival occurred among the Jews. Young Jews began to seek their roots. Numerous religious, cultural, and Zionist organizations were set up or revived. In Hungary, two thirds of the population is said to belong one of the Christian churches. More than 50 per cent is Catholic and 20 per cent is Protestant (mostly Calvinist). There are a couple of small evangelical, Baptist, Methodist, Pentecostal churches and one mega charismatic church with its own TV broadcast. However, the average young and middle-aged person is secular.